Silver companies | Sell your Scrap Gold and Silver online. Though 2011 showed comparatively low future for silver and gold, the new year has optimistic future and options for Chinese investors. This entry was posted in News, Silver Investment, Silver Prices and tagged China, commodities, precious metals, Prices on silver, silver, Silver bullion, Silver companies, Silver Investment, silver price, silver trading on February 14, 2012 by SilverPrices.com Editorial Team. Silver Horn Mining Ltd is a mining company that stresses on silver and develops and explores mining resources. 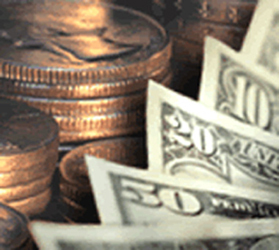 The Company announced its acquisition of the Tip Top Mine in Yavapai County, AZ. The position of the company has strengthened in the mineral rich soil of the Bradshaw Mountains with this acquisition along with the possession of the ‘76’ Mine. An Analysis of the historic data available states the Tip Top Mine responsible for producing of around 6 million ounces of silver from the years 1876 to 1930’s. From the assay records silver ounces were 360 ounces of silver per ton by an average. 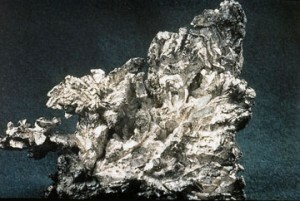 The highest recorded assays ran as high as 2,985 ounces of silver per ton. The company has great plans for the Tip Top Mine. These consist of sampling the ores, mapping the land, assaying to gauge future drilling areas and exploring the underground workings of the property. The locations of the mines are strategic. Distance from the major highway is only 12 miles and the metropolis is located at a distance of 50 miles from the Phoenix Metropolis. Both mines fall within the mining district and the Yavapai County, in which the mines reside, has a mining conducive jurisdiction. Additionally Arizona has a long history of successful mining. Daniel Bleak, the President of Silver Horn Mining Ltd stated the company is thrilled to start a new chapter in the Tip Top mining district. He further pointed out that although the district emphasises on silver, the district is also responsible for producing gold and tungsten. The Company aims to increase its shareholder value with these important acquisitions and will continue to add more strategic properties to its possession. This entry was posted in News and tagged silver, Silver companies, Silver mining on July 12, 2011 by SilverPrices.com Editorial Team.